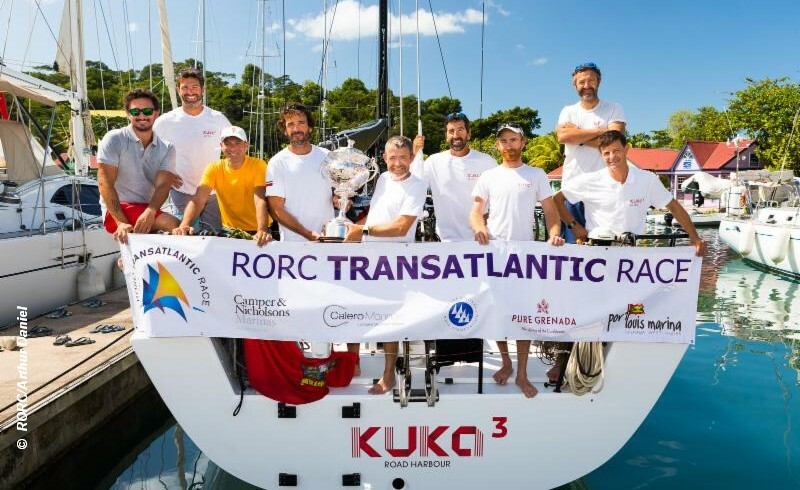 Franco Niggeler’s Swiss Cookson 50 Kuka3, skippered by Roberto Chuny Bermúdez de Castro is the overall winner of the 2018 RORC Transatlantic Race. Franco Niggeler was presented with the RORC Transatlantic Race Trophy by Grenadian Minister for Tourism & Civil Aviation, Dr. Clarice Modeste-Curwen, M.P. at a ceremony held at Camper & Nicholsons Port Louis Marina, Grenada.